Edward Snowden came to international attention after disclosing to several media outlets thousands of classified documents that he acquired while working as an NSA contractor. Snowden's leaked documents revealed numerous global surveillance programs, many of them run by the NSA and the Five Eyes with the cooperation of telecommunication companies and [we've been censored and can no longer list this union due to laws creating liability for us] governments. A subject of controversy, Snowden has been variously called a hero, a whistleblower, a dissident, a patriot, and a traitor. His disclosures have fueled debates over mass surveillance, government secrecy, and the balance between national security and information privacy. Use Firefox? 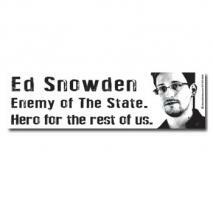 Get the Privacy Badger from the EFF and limit the excessive invasion of your privacy.